The US Election has been making news worldwide for months. Even if you don’t live in US, it’s been hard not to be drawn into the spectacle of the 2016 Presidential race. Even from here in Australia, there’s controversy over the way our politicians have been engaging with the candidates for US President. When it comes to expressing political opinions online, some people write Facebook posts, some shoot off tweets, some people make videos, while others create images that capture their thoughts. A number of Legographers on Instagram have been using custom minifigures by Minibigs, to share their opinions with their followers. 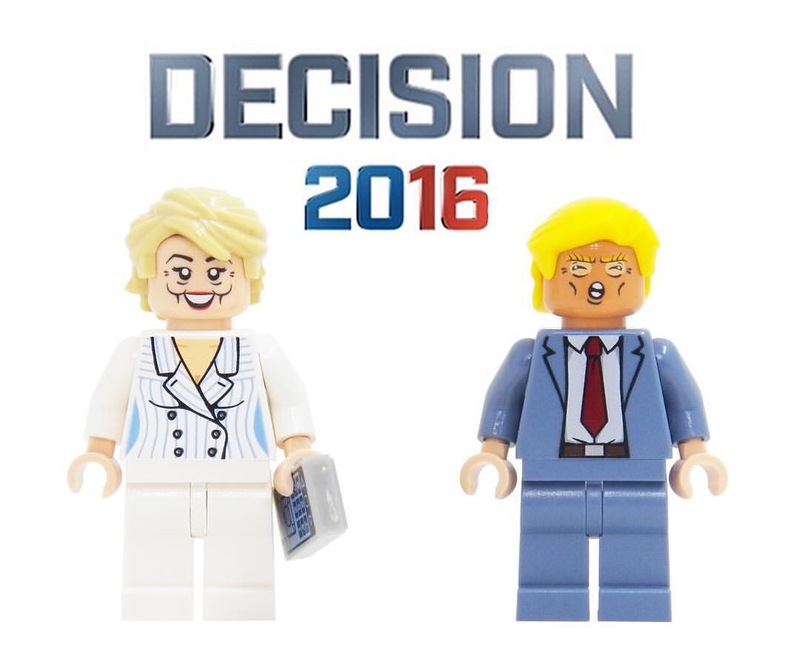 The two custom figures called “Real Estate Mogul” and “Madam Secretary” have a striking resemblance to the presidential candidates and if anyone was looking for a LEGO minifigure version of Donald Trump or a LEGO minifigure version of Hillary Clinton, these would probably be as close as you can get. Here are some of the photos being shared on Instagram. It’s worth noting that there have been a few heated exchanges in the comments on some of these, so it may be best to avoid them. "Believe me! We have a YUGE problem with illegal aliens!We need to build a wall between the US and the rest of the universe to keep illegal aliens from getting in!" Do you have a favourite custom minifigure? Leave a comment below and let me know!